Talking about the specifications, the HTC One X9 flaunts a 5.5-inch (1920×1080 pixels) full-HD display offering 401ppi as pixel density, and Corning Gorilla Glass laid on top of it for protection. Under the hood, it comes equipped with 64-bit MediaTek MT6795 Helio X10 octa-core processor clocked at 2.2GHz paired with PowerVR G6200 GPU and 3GB of RAM. The smartphone features hybrid sim slot that lets you use microSD card slot instead of the second sim. It supports dual sim dual standby and runs on Android 6.0 Marshmallow based HTC Sense 7 UI overlaid. The smartphone comes with 32GB of built-in storage that can be further expanded to 2TB via an externalSD card slot. On the photographic section, the device sports a 13MP primary camera with dual-tone LED flash, f/2.0 aperture, OIS and also has 4K video recording and RAW support. On the front, it has a 5MP shooter with f/2.0 aperture for video calling and stunning selfie images. It comes with connectivity options like 4G-LTE, GPS/A-GPS, Wi-Fi, Bluetooth 4.1 and microUSB 2.0 port. The handset powers a 3000mAh battery that is rated to deliver upto 15 hours of talk time and upto 40 hours of music playback. The smartphone sports an all-metal unibody design and also comes with dual front-facing HTC BoomSound speakers with Dolby Audio technology for terrific sound quality. Its dimensions measure 153.9 x 75.9 x 7.99 mm weighs around 173 grams and will come in Opal Silver and Carbon Grey color options. There is no information about the pricing of the smartphone, but we can expect it to be priced around Rs. 25,000. 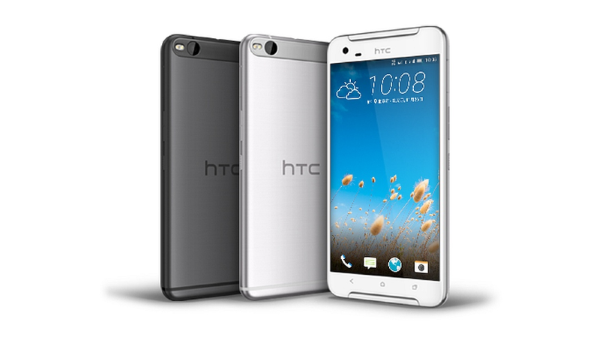 Stay tuned for more details about the official launch, pricing and availability of the HTC One X9 in coming days.